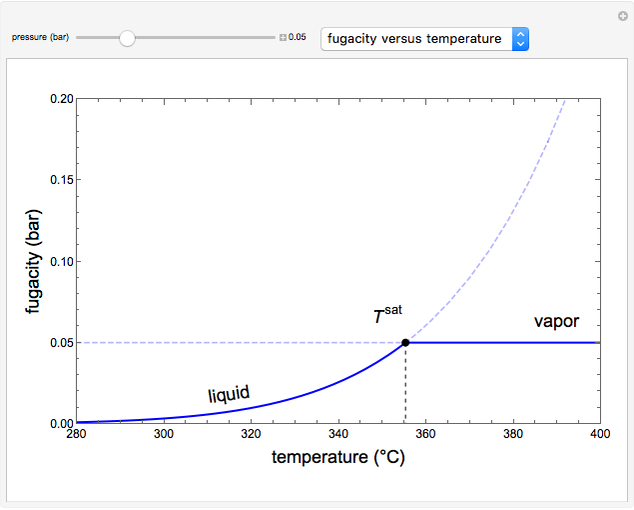 This Demonstration plots fugacity of a hypothetical single component as a function of temperature or pressure. Use the dropdown menu to select the plot. 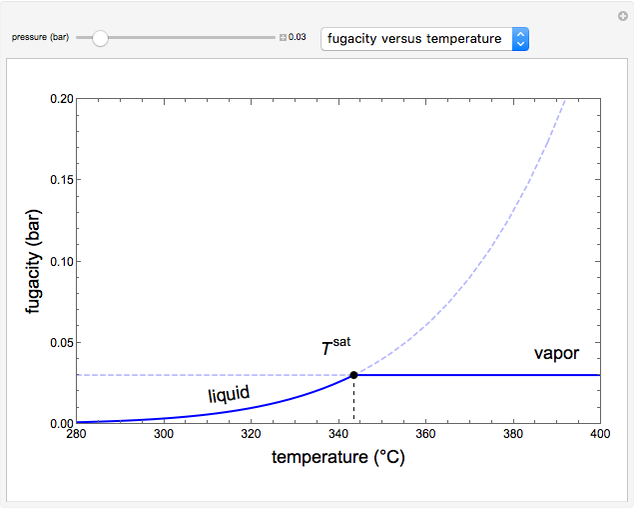 The saturation point is where liquid and vapor have equal fugacities. 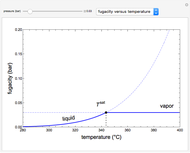 Above or below the saturation point, the phase with the lower fugacity is the stable phase. 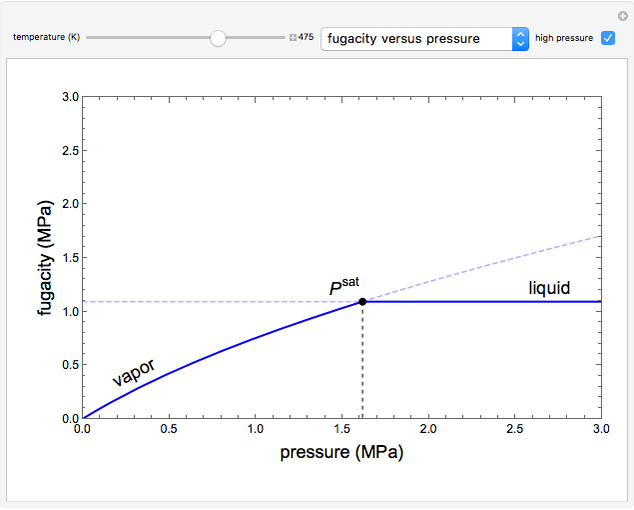 The fugacity-versus-pressure plot is for low pressure, where the vapor phase is ideal and the fugacity versus pressure for the gas phase is linear. 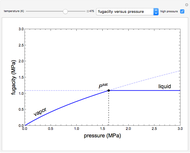 When the "high pressure" box is checked, the vapor is assumed to be a real gas and the fugacity versus pressure for the vapor phase is not linear. where is the Gibbs energy, is specific volume, is pressure, is the gas constant, is temperature and is fugacity. When two phases are in equilibrium for a single component, the fugacity of the component is the same in each phase. When only one phase exists, it is the phase with the lower fugacity. 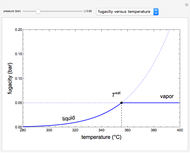 where the superscripts and represent liquid, solid and saturation properties.